When I talk with people about being baptized in water I find several excuses and misconceptions. I had some too that I had to overcome. I have real compassion in this area. 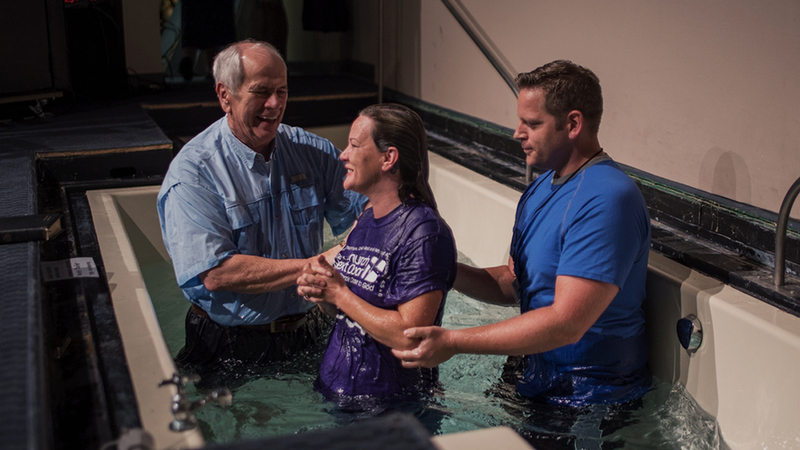 I want people to be baptized because Jesus invited them to do that and I also know how much it changed my life. I don’t get a special place in heaven for talking or writing about it but I do get great joy out of seeing people say yes to God and obedience. It brings a blessing and more faith. So why don’t people get baptized? Technically, you are right. You can go to heaven without being baptized. I know you’ve read the websites. But can we be honest? Jesus was baptized. All his disciples were baptized. In Matthew 28:19-20 Jesus says, “Therefore go and make disciples of all nations, baptizing them in the name of the Father and of the Son and of the Holy Spirit, and teaching them to obey everything I have commanded you. And surely I am with you always, to the very end of the age.” Clearly this is a part of being a Christian. The Church is in agreement on this. Christians should be baptized. It is something that sets us apart and Jesus wanted the church to invite you to do what He did. It is part of the Jesus “way”. The second excuse. This was one of my big hurdles. My parents baptized me as a baby. I was covered by their faith, so I felt I didn’t need to do it again. Then I read the Bible and convinced myself of excuse no. 1- “I don’t have to”- and kept avoiding the subject. The more I read the Bible I found that no infants were baptized, nor were people being baptized because someone else loved God. I decided my parents taking me was a blessing but I wanted God to know I loved Him and wanted to obey his commands. Finally, I needed to take that stand for my own faith and conviction. When I did, it changed my life. I knew my faith in God was my faith in God, not my hanging on the “coat tails” of my parents. I was maturing in my faith. I said yes to God and so should you. After all, is this your faith in Jesus or your parents’ faith in him? This is a hard one to get around. In many places of the world people put their lives on the line when they choose to follow Jesus and be baptized. The is a tension we feel. We know we should not be ashamed of the Gospel and Jesus. After all Jesus said in Luke 9: 26 “Whoever is ashamed of me and my words, the Son of Man will be ashamed of them.” The truth is most of the people who are at church when we go to a baptism are fans of the practice. Everyone in the room is really supportive. This truly is a slam dunk experience! Don’t be put off by that. I resisted water baptism because I knew I was getting more serious and I didn’t want that to happen. I liked keeping God at arm’s length. I used God when I wanted Him but really wanted to play the field for a while. I was not ready to commit. When I read the scriptures, I knew it was the next step in me giving God first place in my life and I liked being in control. Then one day God and I had a conversation- Christians call it prayer- and I was frustrated and angry. My life was not going the way I wanted. I wanted to run my life, but my being in charge was not proving successful. I said “Ok God, I’ll take the next step. I can’t deny your existence. I believe in You, You know I do. I admit in my heart I have experienced You.” He didn’t say anything as I remember it but I was done fighting. I talked with my dad about me being baptized with our church as soon as possible. It was just a couple of weeks. It changed me in that I knew in my heart I had surrendered to God. I recommend that to everyone because He has more resources. God always wins! I hope this helps. Let go of your excuses. The Bible and Church history agree. Christians are to be baptized. Is it time for you to take that step?